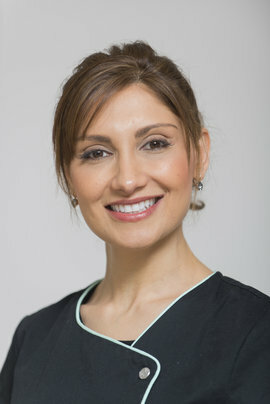 Dr Zina has recently completed her degree in orthodontics and she is very excited to be treating your whole family. She is also highly qualified in placing implants having completed the Clinical Diploma in Implantology with the Brenner Implant Institute in Sydney and the MIS implant course in Columbia. She is also a member of the Australian Dental Association (ADA). Dr Zina’s greatest inspiration in her desire to become a dentist came from her dad. He too is a dentist, and she got to see as a child what a difference he could make in the lives of his patients. For Dr Zina, the most rewarding part of dentistry has been giving patients the confidence to smile. She often has patients return after treatment is complete and tell her how grateful they are to be able to talk to others without hiding their smile, and they can now smile in family photos. When she’s not practicing dentistry, Dr Zina enjoys health and fitness. She exercises after work every day. She also enjoys spending time with her family and relaxing on the weekends. Come and get to know Dr Zina! Contact us today and let us help you obtain a healthy, glowing smile.